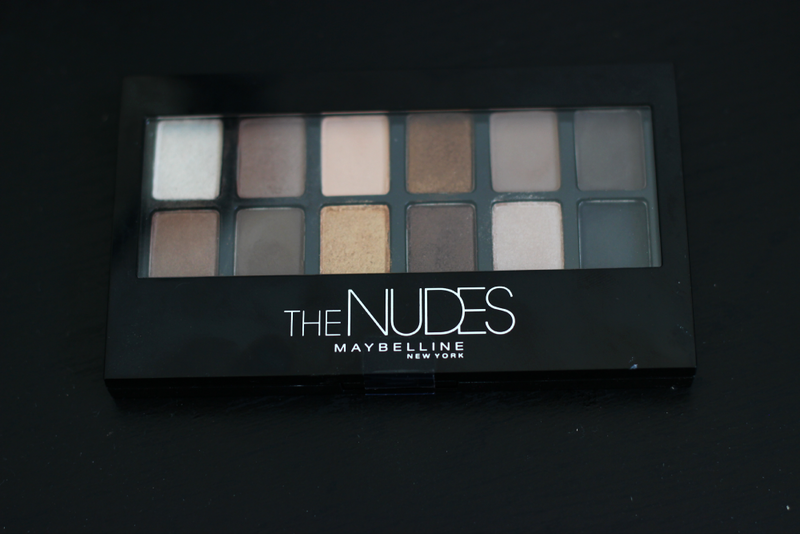 Hey everyone today I have a review post on the new Maybelline The Nudes Palette! I was literally so excited when information started coming out regarding this palette and I knew I had to have it in my life. This is the first drug store palette I have witnessed. Other then like NYX and Sonia Kashuk, this is the first ever drug store palette. I am also excited because there will be two additional palettes coming out soon which are The Brights and The Smokes, which of course I will be purchasing each. Maybelline The Nudes Palette goes for $9.99 and can be found at most drugstores or stores that carry Maybelline. It comes with 12 different shades to create all different looks. I love how the palette is set up because they paired colors in order to make different looks. You can divide the colors into quads, trios and duos, or of course mix and match and make your own unique look. 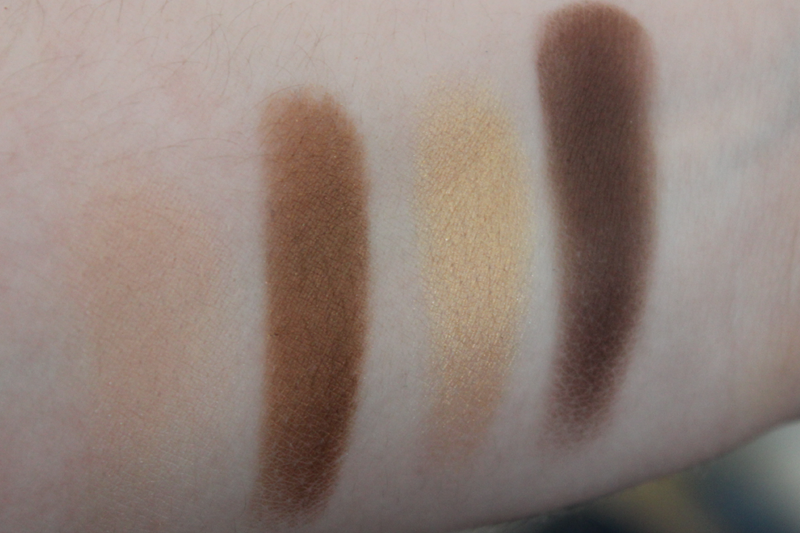 When swatching, I decided I would swatch by quads because thats how I have been wearing this palette. 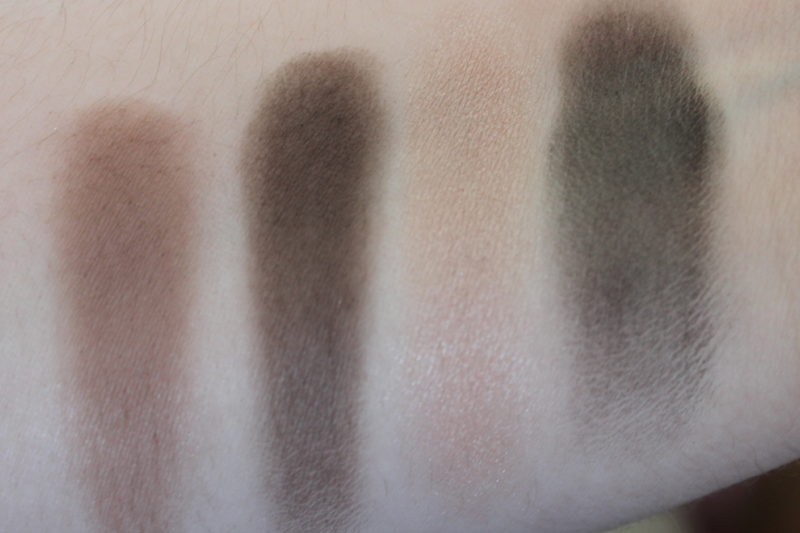 Here are swatches of the first quad, which this one is the one I have been wearing the most. 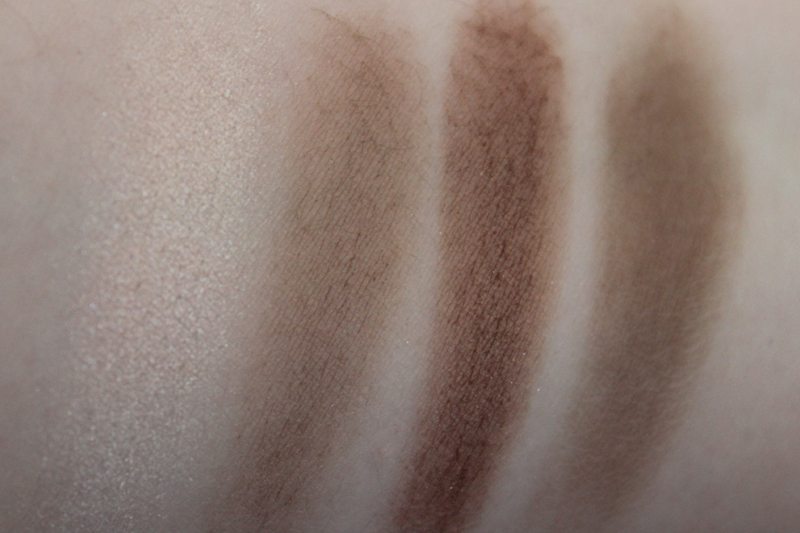 It comes with a light highlight shade (which the texture of this shadow was very dull. You really have to work your brush in it to receive a decent color payoff) The next shade is a beautiful light taupe color, then we have a brown and another darker taupe shade. Here is the middle quad which to me, has the best color pay off. We have a light peachy pink color which is a nice matte shade, then we have a golden brown which this color was so pigmented that I didn't need to put any effort in when swatching it. Next we have a beautiful gold which was extremely pigmented as well, and same with the brown. And here is the last 4 shades. We have a beautiful taupe/purple shade which is matte. Then we darker brown, and champaign color, and then a black which the pigmentation was horrible. Overall I love this palette. You cannot beat a great palette for the price. 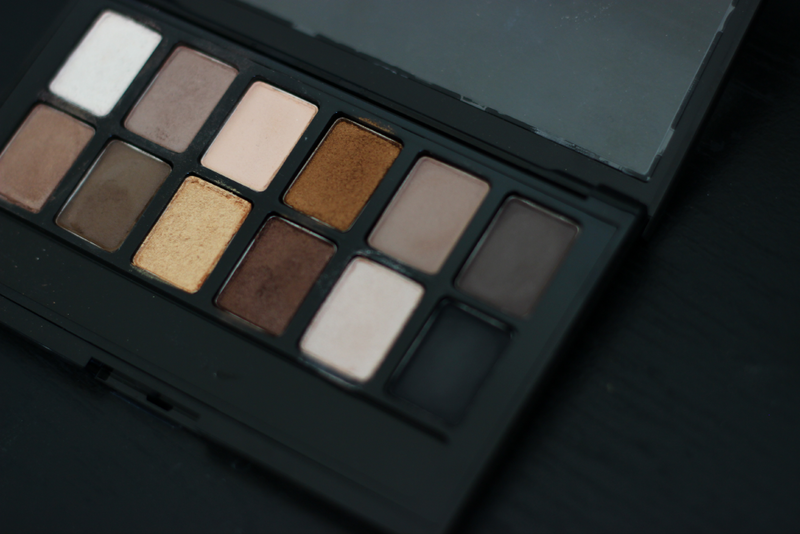 It had a mixture of mattes and shimmers and the looks you can make of this palette is endless. Some colors we not that good with color payoff, but I still love this palette. I have been using it everyday for the last two weeks! Besides a few slightly patchy shades they look like seriously solid neutrals! Especially if you use a base! Agreed! Its amazing for the price! This is quite a new thing for Maybelline, nice to see brands like this delve into the big neutral palettes! Overall it looks really nice!